Appearances can be deceiving. Despite the presence of a guitar, one look at Lyn Saga’s debut full-length album and you may be forgiven for thinking it is an album of shiny pop aimed at the teen market. Her love of the pop-sock and the list of “fun facts” on her website [such as “Lyn’s favourite colour is purple. Lyn uses arpeggios of cat noises as warm up tapes for shows” etc] may not be instantly attractive – or of any real importance – to the more mature audience either. Here are the real facts about Lyn Saga: in her formative years, Lyn Saga spent every penny she could collecting records by the eras alternative rock greats. Citing the likes of Hole, Smashing Pumpkins, Fountains of Wayne and Weezer among her early influences, she takes everything she’s ever learnt from those bands (particularly the latter) and, with her obvious ability to write catchy hooks, created a wonderfully radiant debut release. Beginning with the title cut, the sheer weightiness of the music should win over most alt-rock/power pop afficianados. The intro cheekily uses a similar guitar tone to ‘Smells Like Teen Spirit’, before a chunky riff in the vein of Fountains of Wayne in an aggressive mood takes over. Naturally, Saga’s vocal is a little sugary, but since the combination of cutesy voice and gritty music recalls Kay Hanley and Letters To Cleo, that’s very appealing. The combination of its key influences may be obvious, but Saga pulls together all the elements to create something enjoyable. Just as she cheekily began the tune with something familiar, the blatant steal from Weezer’s ‘Buddy Holly’ at the close should raise a wry smile. While that sets the tone for the rest of the album, the ante is upped by a couple of the following tunes. One such number ‘This Way’ comes with a marching time signature which pulls the best from the hard chord structure and Saga’s vocal, but better still, it’s embellished with brass. 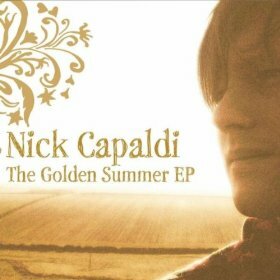 Such an arrangement keeps things incredibly buoyant and the upbeat qualities really hit home via a brief section clearly inspired by The Beach Boys ‘God Only Knows’. The sunny musical vibes are often at odds with the hard confessional lyric regarding greater understanding and maturity, but that contrast makes this superb. ‘Life Is But a Dream’ could be accused of not using as much of Saga’s own style as before, since it’s even more of a blatent Weezer homage – right down to the brief stops in the chorus – but like Tally Hall’s ‘Two Wuv’, that isn’t necessary a bad thing. The merest mention of Weezer means you’ll already have very strong ideas of how this sounds. However, looking at the overall performance, there’s merit here: most of the melody is carried by a multi-tracked vocal, while a strong bassline and twin lead guitar solo provide the instrumental high points. With its 90s chug colliding with a 50s doo wop lilt, ‘Runaway’ showcases almost as much love for Rivers Cuomo, but is perhaps a slightly better tune thanks to a more obvious sense of light and shade. The chugging Weezer-isms are joined by strong pop vibe – equal parts that dog. and Letters To Cleo – resulting in more predictable (yet wholly enjoyable) retro rock. As to whether Lyn Saga’s influences are perhaps a little too obvious, given how many copies Weezer’s blue album sold in the US in the mid 90s, it’s only natural they would be a seminal influence for many. Frankly, though, this album is much better than some of the other Weezer-style releases that have followed in the wake of that debut…including most of Weezer’s own work. On the surface, ‘I Believe’ sticks out a little with a poppier bias and a sound that feels a touch more mechanical. The lightness of the vocal gets a lighter tune to match, where the driving drum part – for once – takes precedence over the usual wall of guitars. There’s a near danceable groove reinforced by a lot of hi-hat work, but digging deeper, Saga’s more typical Fountains of Wayne and Weezer obsessions are still in there with an occasional guitar part fighting to get out. Perhaps the album’s most interesting number all round, ‘I Didn’t Mean To’ revisits the kind of punchy verses which adorn most of ‘Venice’s best tunes, this time adopting a marching beat. 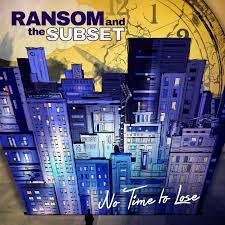 To add extra interest, the previous power pop elements are complimented a touch of vaudeville jazziness. Centring around piano and glockenspiel accompaniments, these interludes recall works by the brilliant Hush Sound. Using filters to give the impression of an older recording during its verses, Saga sounds like she’s singing down a telephone on the closing number, ‘We Didn’t Realise’. This works fine against the samba-esque rhythms employed and provides a great contrast to the chorus sections where she reverts back into the hard-hitting Weezer/Anna Waronker /Letters To Cleo hybrid which she’s wisely chosen as her main calling card. Comprising ten songs and clocking in at just half an hour, this is an excellent example of how to make a streamlined album with no obvious filler, the way people used to when approximately fifteen to twenty minutes of music per side constituted a full release. 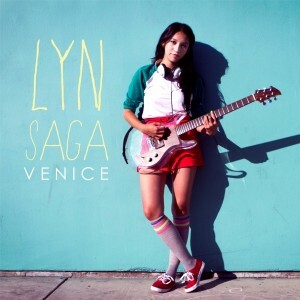 Although ‘Venice’ is somewhat formulaic in places, if you dig any of the bands mentioned here, Lyn Saga should certainly be on your list of artists to investigate. 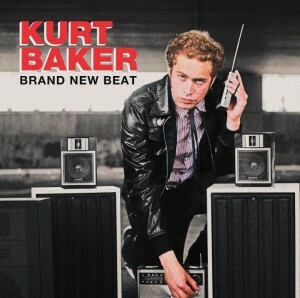 ‘Brand New Beat’ is the first full-length release from The Leftovers’ frontman Kurt Baker. Following a handful of EPs issued between 2010-12 (‘Got It Covered’, ‘Rockin’ For a Living’ and the excellent ‘Want You Around’) and a brief stopover with Wimpy & The Medallions, this album felt long overdue by the time of its arrival. It was however well worth the wait. The ‘Want You Around’ EP served as a great taster for this album, since some of the material treads a similar line in power pop/new wave inspired brilliance, but if anything, shows a slightly broader range of Baker’s talents. An instant pop classic, ‘Don’t Go Falling In Love’ has a tuneful arrangement constructed around twin guitars and a fat bass. Musically, the power pop style recalls late 70s outings by The Paley Brothers and the like, while Baker’s vocal has a warble which owes as much to the legendary Joe Jackson as it does various snotty pop-punkers which filled the mid 90s and beyond. Some listeners may find his voice takes a small amount of tuning into, but there’s no questioning the strength of the song writing – the hook here is so simple, so pure even, you’ll catch yourselves singing along by the time the last chorus rolls around. In places, the verses of ‘Hit The Ground’ are even more indebted to Jackson, while the chorus takes a (repetitive) more rock-based direction. The two slightly different styles work well together, especially as lead guitarist – and producer – Wyatt Funderburk has just enough balls to link the two via a raucous and trashy, near metallic guitar break. While the rest of the material has a similar mark of quality, Baker hasn’t rested on his laurels and filled the record with identikit Joe Jackson-esque songs. Tapping into his quieter side, ‘She’s Not Sorry’ leans far more towards 60s bubblegum pop, with a harmonious arrangement that’s a dead ringer for Mark Bacino’s earlier work. The vocal is a strong one, but can occasionally feel slightly full-on due to the chosen musical backdrop, which in turn is a tad casiotone; this, of course once you’ve adjusted, just adds to the overall sense of wonderful disposability. Also with a nod to the 60s, ‘She Can Do It All’ sounds like it should be taken from an EP where KB pays tribute to Nick Lowe, it’s strong sense of melody, (another) tough bassline and quirky fills sounding not too far removed from some of that well respected song writer’s late 70s output. In addition to one of Baker’s best vocal performances, his style of bass playing provides a great counterpart to the more sugary aspects of the tune. Repeated listens highlight an excellent arrangement which, thanks to Funderburk’s superb production, really captures something special without ever sounding flashy. A second attempt at a slow number ‘How Many Times’ fares a little less well as it sounds like an Elvis Costello cast off, with Baker curling his vocal lines appropriately. It’s not a bad tune all things considered – there are enjoyable chorus harmonies and a great bass sound – but the slightly overdone vocal combined with the xmas bells and slow pace makes this drag in comparison to the rest of the album. Since the record clocks it at barely half an hour, in some ways, it would have been nice for ‘Want You Around’ to have reappeared here for those who missed it first time around, but on the whole, ‘Brand New Beat’ is an expertly delivered exercise in quality over quantity. Those who’ve dipped in and out of Baker’s past works will undoubtedly love this record with a capital L, while other power pop lovers should find it a very accessible set. In the mid 00’s, Wise Girl’s frontwoman Abby Weitz was the vocalist with pop punk band The Lookaways. Although that band never achieved great mainstream success, they performed on the 2006 Vans Warped tour and even played at the legendary CBGBs in New York. On Wise Girl’s 2012 EP, Weitz sounds more settled than before, with a handful of songs replacing most of her previous punk pop traits with a semi-slick power pop groove. The lead single, ‘Set In Stone’, captures the band’s sound well enough, pitching a tough guitar jangle against a strong pop sensibility. While the chorus isn’t an instant hit, a few plays in and the song shows it to have a strong musical backbone; it’s relative sing-along qualities recall older works by Letters To Cleo and the much overlooked Stretch Princess. On the bouncy ‘Roles are Reversed’, there’s a slightly poppier vibe, one which allows Weitz’s sugary vocal to carry most of the main melody. Wise Girl isn’t just the Abby Weitz show, though – the rest of the band pitch in with good performances. At the track’s end, Chris Fasulo plays a sharp lead guitar part which has a tone that, perhaps, owes as much to country rock as it does to power pop (although the tune stays firmly within a power pop remit) while the rhythm section are also interesting – particularly the tough sounding bass lines occurring throughout. Adopting a slightly harder sound, the mid-paced ‘Wishful Thinking’ is the best of the EPs three tracks. The wall of rhythm guitars moves away from power pop and has more in common with post-‘Warning’ Green Day. In fact, it has a tone which would fit best with GD’s Foxboro Hot Tubs side project, as – despite the slight distortion throughout – the clanging guitars offer a very 60s vibe. The slower approach allows Weitz to push the crying edge of her voice a little farther, making it her strongest performance here. A fourth track ‘I’m a Freak’ (streaming via their ReverbNation profile at the time of the EPs release), on the surface, at least, offers more of the same. The chunky rhythm guitars have hints of The Cars and early Weezer, while the hooky chorus makes an instant impression, driving things in a pop-oriented direction. The use of a slight auto-tuning makes it less pleasant listening overall, though, and threatens to spoil an otherwise solid tune. The general mood here should catch the ears of those who still enjoy Avril Lavigne’s earliest output. With the lurid pink and black artwork and Weitz’s vocal retaining a lot of saccharine shine, this band may be in danger of being written off as a band who may appeal to a slightly younger audience. While that isn’t necessarily wrong, or even a bad thing, such potential feelings shouldn’t detract from the fact they know how to pen a decent tune. ‘Wishful Thinking’ is worth three minutes of your time alone.